Our family has a large piece of property with a very small house in upstate New York, the village of Wayland. It's a wonderful place for the family to gather on any occasion. 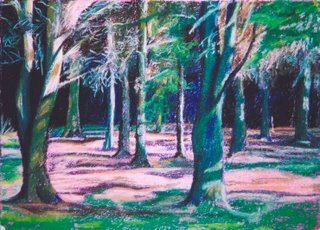 These woods are my favorite, especially towards the end of the day when the sun breaks through all the trees and casts dappled light all over the place. 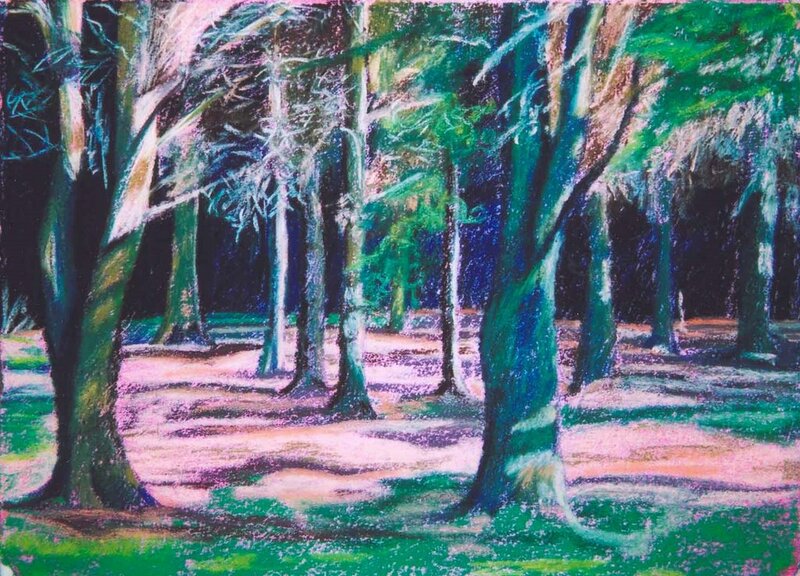 I did this pastel painting of those woods from a photo taken at our niece's wedding this summer.